As the winter and the cold weather continues we keep looking for the products to protect our beauty from freezing and enhance health. Since current atmospheric conditions promote skin dryness we need to have extra level of hydrating therefore we searched for the products with this qualities. 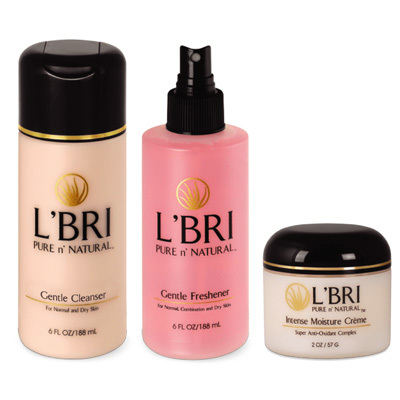 Today we are going to speak about L’BRI brand and their products. The name of the brand sounds french, however it comes from combined names of two founders Linda and Brian. 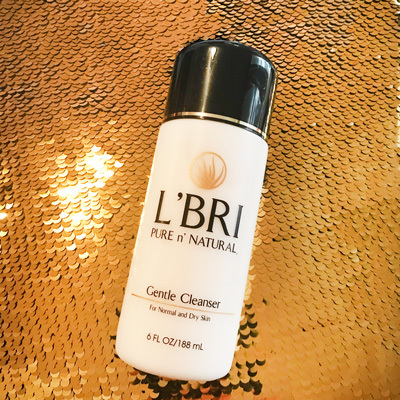 L’BRI Pure n’ Natural is a family owned business that specializes in the affordable, natural aloe-based skincare products. 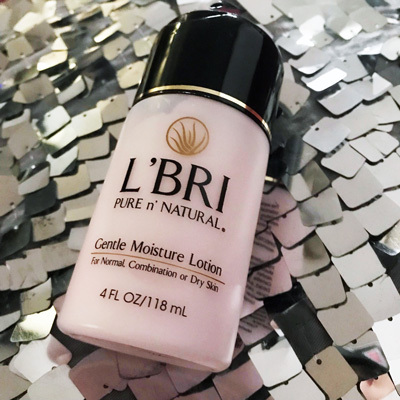 While browsing through list of available products our interest fell into Extra Dry Trio as it looked like a perfect set of products for our winter needs, and additionally we chose Gentle Moisture Lotion. The Extra Dry trio consists of Cleansing Lotion, Freshener and Moisture Cream and comes as a set, the Moisture Lotion comes as a single, separate product. All the products are aloe extract based, which means hydration and protection from winter winds. Trio comes as a set as you use one product after another, however we added one more product as we would like to use one product in the morning and the other in the evening time. To prepare your skin in the morning, start with using Gentle Cleanser, to cleanse. The product is a mild creamy cleanser for normal to dry skin, it is rich with vitamins, tea and flower extract, it has a light color and a nice flowery smell. Pour a little on your hand and apply to the face skin with cirlular motion and remove with water after that . Our mytopface noticed thats product really gentle enough and feelings on skin pretty nice like you used oil based cleanser. The next step is to apply Gentle Freshener. This product has similar ingredients to lotion, however with a focus on refreshing skin, it restores pH balance and prepares skin to absorb moisture. The package has spray which make it easier to apply on the cotton pad and spread over the face skin or directly on the face during the day. 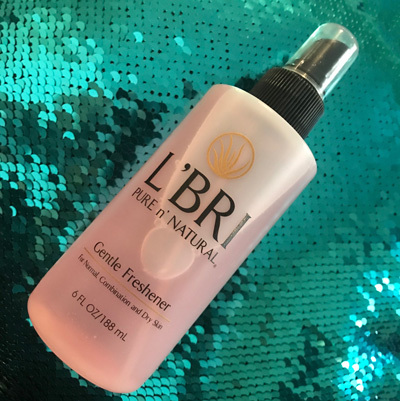 Mytopface hack: We used this Gentle Freshener spray few times on beauty blender before using it for makeup, it helps achieve your goal of flawless skin and natural look with foundation. For the morning routine we decided to swap Gentle Moisture Cream from the Trio set to Gentle Moisture Lotion. The cream has thicker texture, therefore if you applying makeup you want to use a lotion instead of cream. The Lotion moisturizes skin and make your skin ready for the winter day, it works well with the make up and gives a good protection through the day. Apply any mousturiser minimum 30 minutes before going out. By doing this three steps every morning, you will ensure that your skin gets necessary supplements from aloe and other extracts to keep hydrated and over-dried. However, for your evening beauty routine we suggest to use the same steps but using cream instead of lotion. 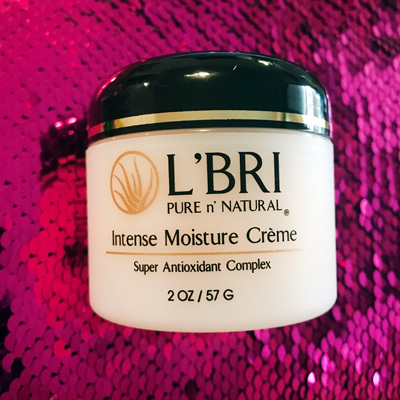 The Gentle Moisture Cream is a product for normal, combination or dry skin, it has a yellow color and a more heavy texture which perfect for night time , it absorbs by the skin pretty well and does not leave a sticky feeling on the skin. The product has similar ingredients to the lotion, but more saturated so it keeps skin hydrated and protected from dryness through the night till morning. Our expert is happy with the products and its qualities, you can feel result from aloe and other ingredients pretty fast. If you looking for a set of products to fight winter dryness the L’BRI Dry Trio set is a good choice and price pretty cheap. Our most advice take care of your skin and invest on it and be sure it will be one of the best investment in your life. Good Skin Care at home its 80% of your dreams come true about perfect skin but also don’t forgot about facials every months to get a complete a result.